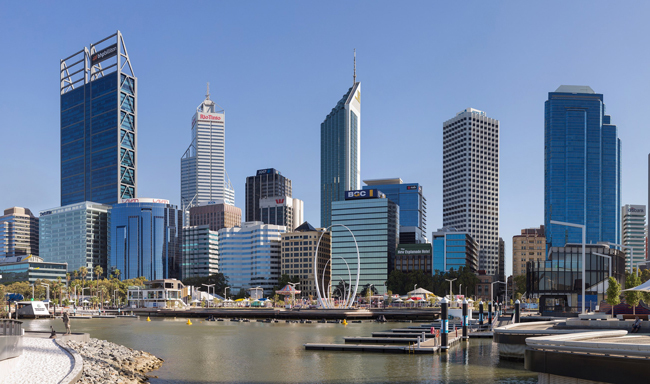 Western Australia’s economy is on the rebound, with business confidence rising to levels not seen since the mining boom and a growing number of companies looking to hire more workers. The latest survey of business conditions by WA Super and the Chamber of Commerce and Industry has found that almost half of respondents expect the State’s economy to grow or stay the same in the short term. The figure is the highest recorded by the survey since 2014 when WA was still basking in the afterglow of the China-fuelled mining and resources boom. There was even more bullishness about the medium term, with 60 per cent of respondents saying they expected an improvement in the economy. There has also been a big recovery in employment sentiment among bosses. From an all-time low in June 2015, the number of businesses expecting to keep their workforce steady has risen to 57 per cent, while 23 per cent anticipated the need to hire extra staff. Despite the growing confidence, 61 per cent of businesses said wages would remain flat over the next quarter, suggesting most workers faced a longer wait for a pay rise. Chamber of Commerce and Industry WA chief economist Rick Newnham said the weakness in wages carried on a trend, but the signs for a turnaround were encouraging. “With both consumer and business confidence at a near three-year high, the WA economy is well on the way to recovery,” he said. “There are continued encouraging signs for business investment, with 19 per cent of businesses expecting to increase capital expenditure over the next quarter, up 8 per cent. “Business investment creates jobs in WA — for business investment to grow WA businesses must feel confident that the investment climate will improve. The buoyant mood was strengthened by recent credit rating announcements. On 3 November, ratings agency Moody’s Investors Services confirmed the State’s credit rating remains unchanged at Aa2 (‘stable’ outlook). This follows an announcement by S&P Global Ratings to also reaffirm the State’s rating (AA+ ‘negative’ outlook).